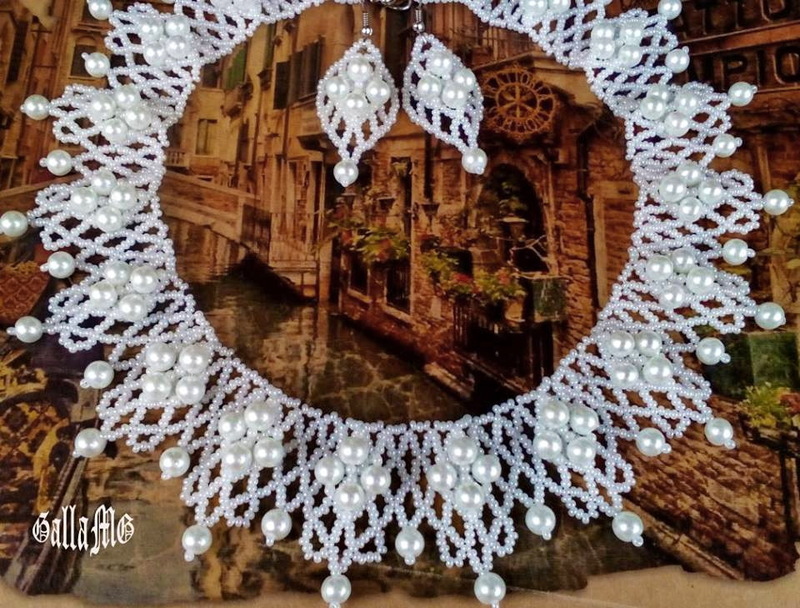 One of our followers talented beadwork artist Elaine C Vechorik made very beautiful necklace, using as a base our pattern Adriatic, which u can find on this link https://beadsmagic.com/free-pattern-for-necklace-adriatic/. She made some changings and here is the result what she got. We thank her and share this pattern with all of u too. 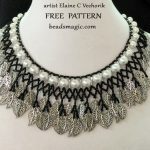 This is what Elaine wrote about her necklace. 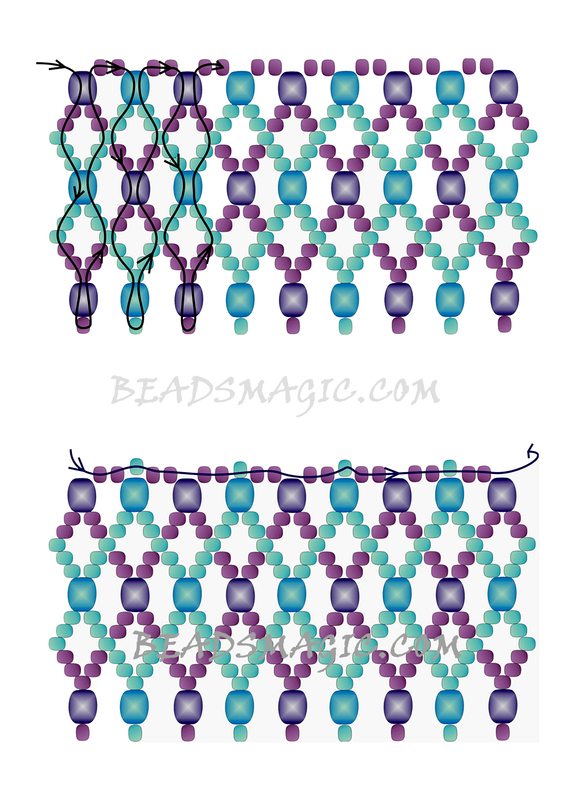 I used 11/0 and 4mm beads with only 2 11/0 beads in the top row. 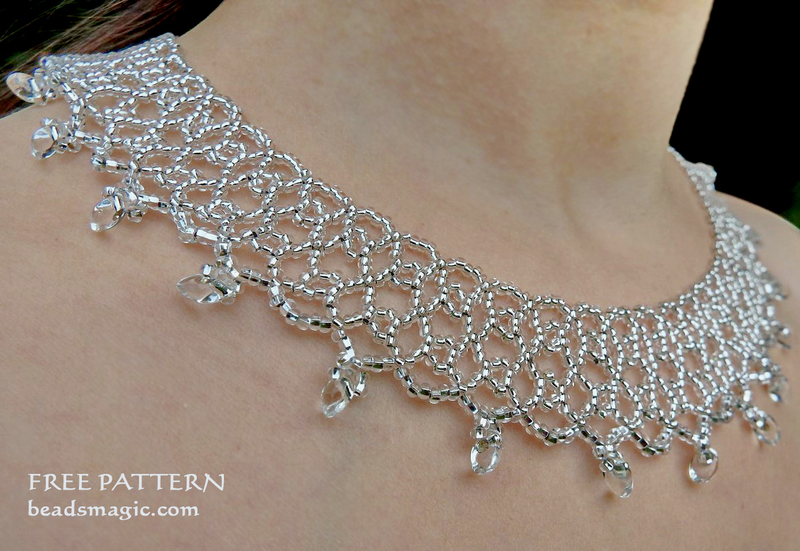 When the necklace was complete, I went back through the top row, adding 1 silver 11/0 above each silver 4mm and tightened the neckline a bit. I simplified the bottom so it’s even all the way around. 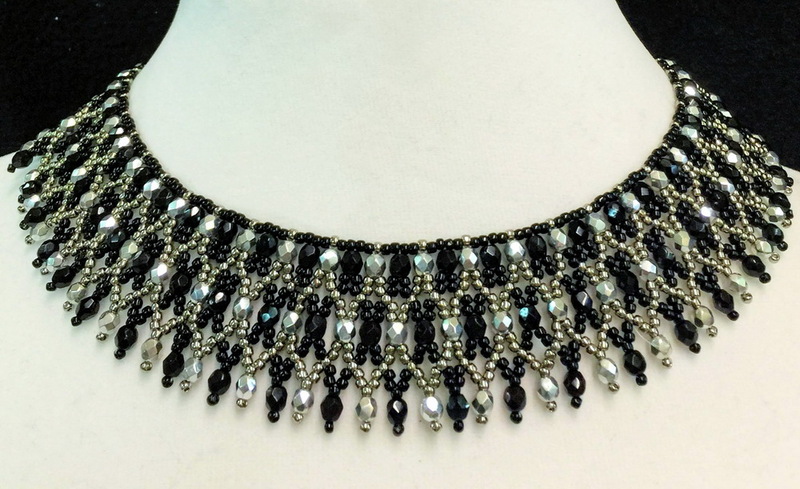 J’aime beaucoup ce collier. Il est très chic. Il est magnifique ainsi! Merci pour le schéma !! 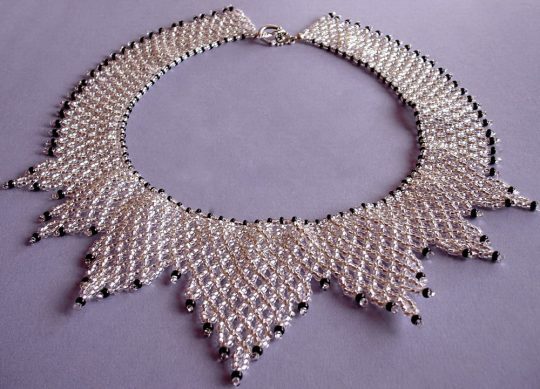 I would love to try your patterns, they are lovely, but it seems I cannot download with Adobe. I don’t want to have another program on my computer. The one that seems to be wanting us to use (or at least me) is DOCtoPDF. Plus it’s not compatible with Windows 10. That is really odd Karen Wells, I have windows 10 and also adobe for downloads. Maybe there is something else downloaded that you would need to remove using Settings and the Ad and Delete Progrom. If you go in and look it will show what all you have for programs.